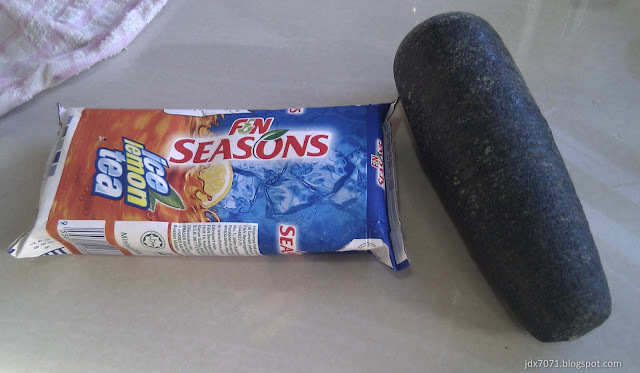 The required ingredients, take note that the F&N ice lemon tea is fully frozen. 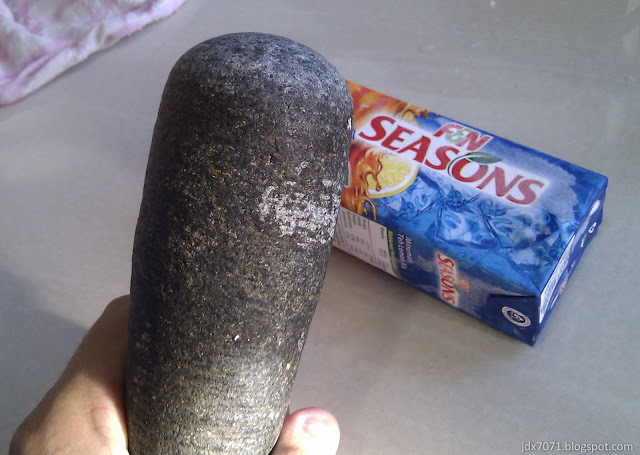 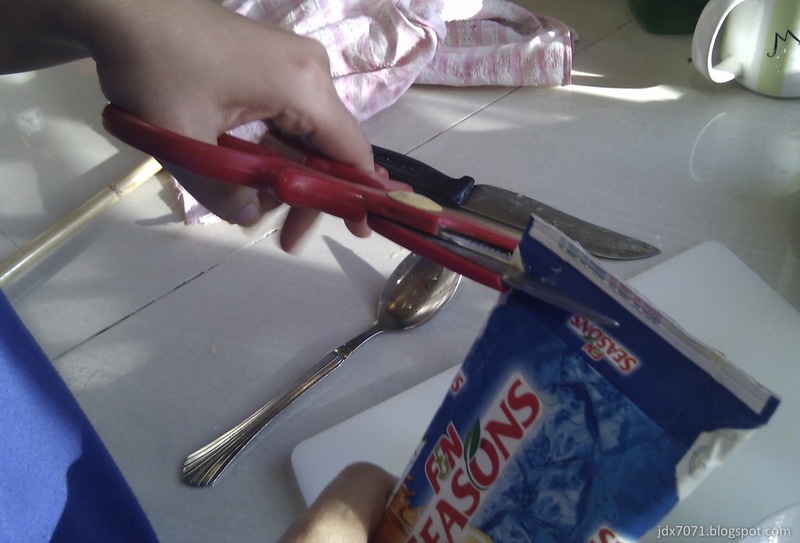 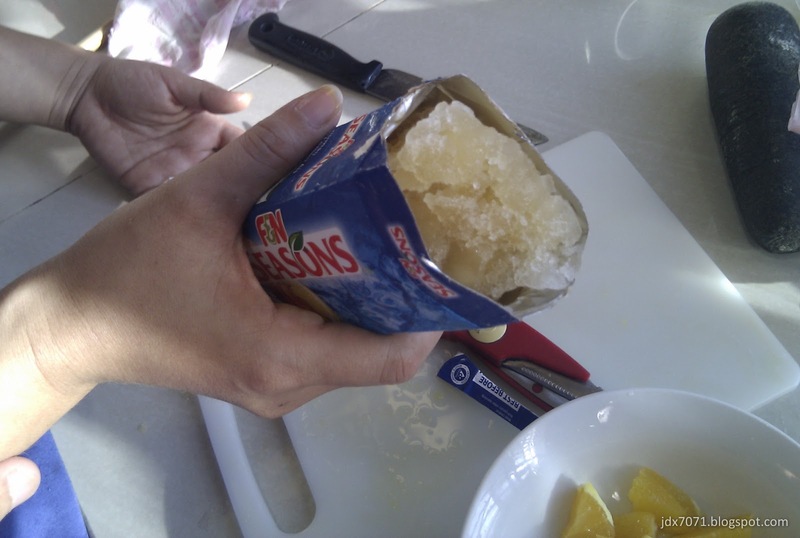 Now, use pastle to soften the frozen pack of ice lemon tea. 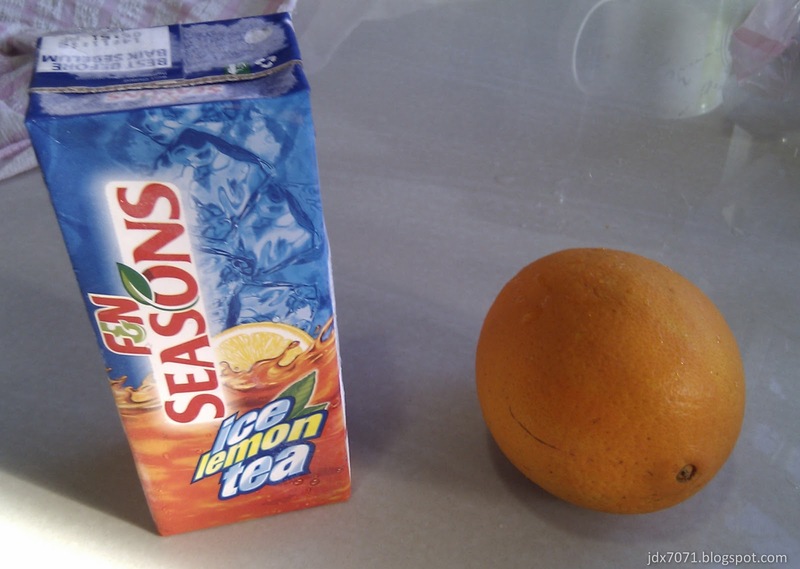 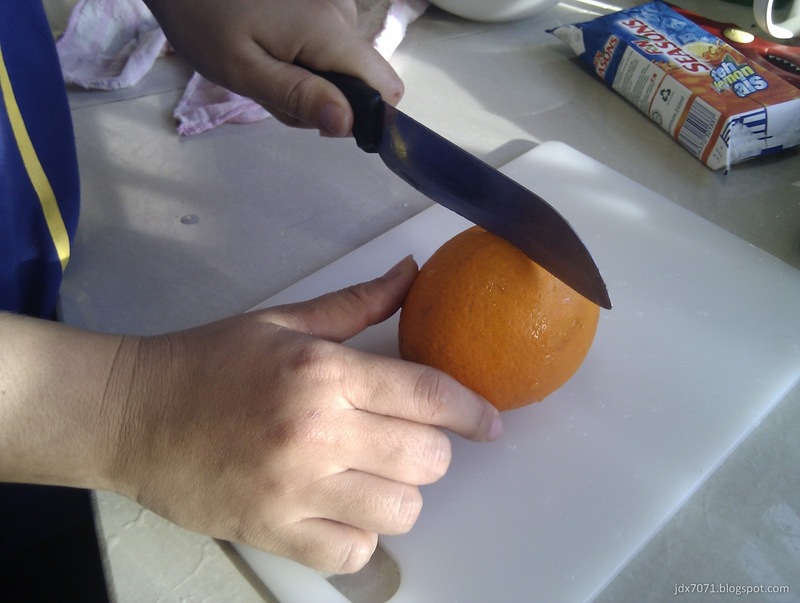 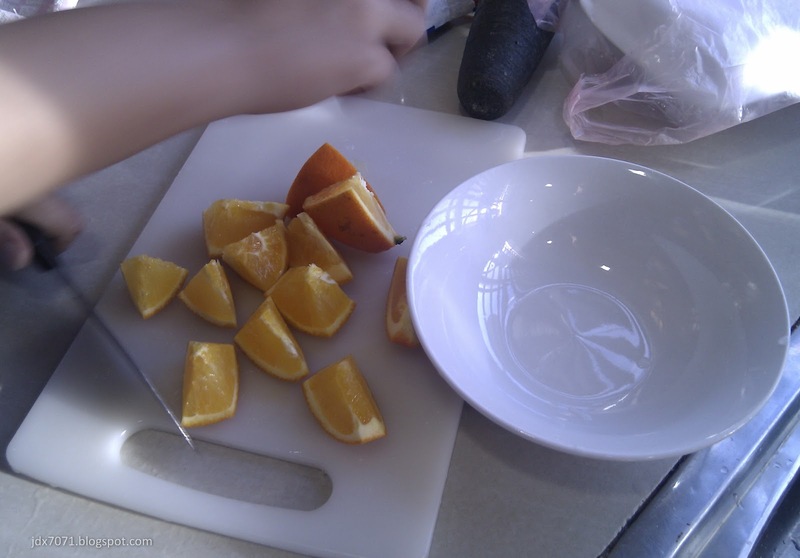 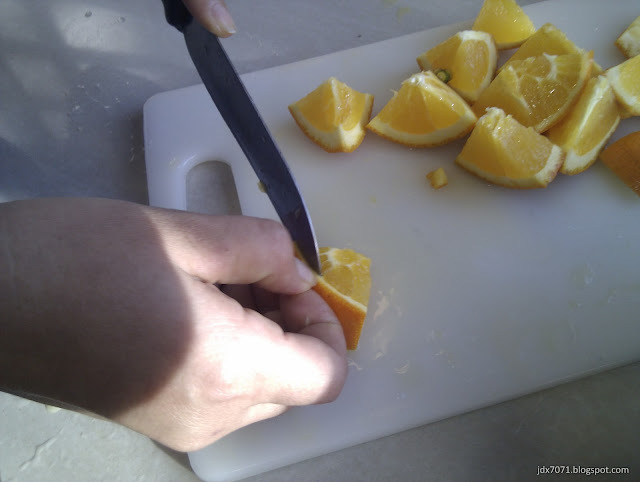 Put the soften ice lemon tea pack aside, and cut the orange into small cube. Cut open the ice lemon tea and pour the "ice" onto the orange cube. 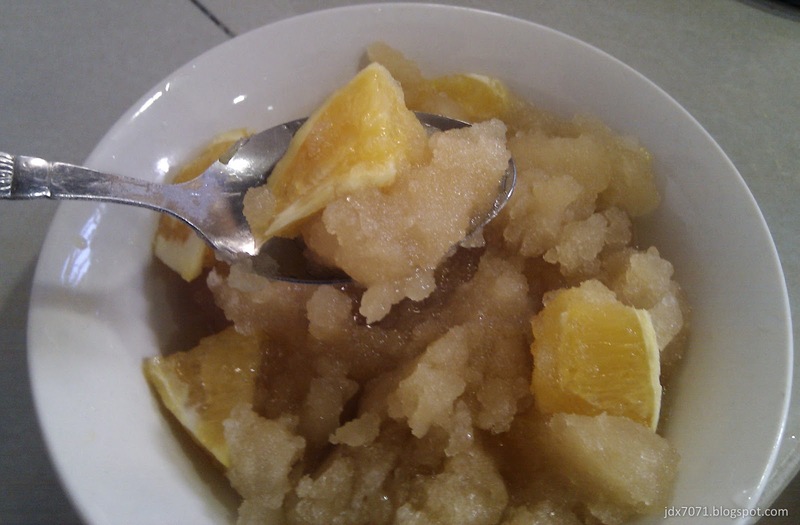 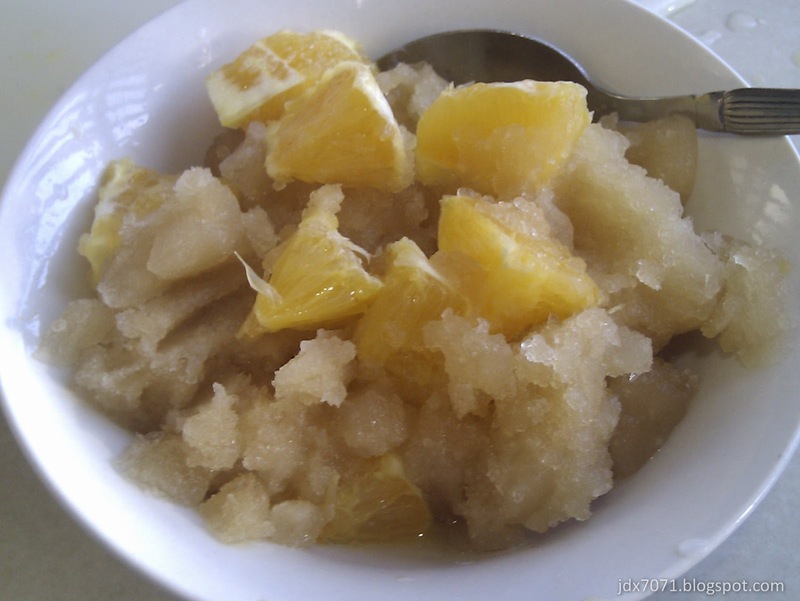 Mix the ice and orange well and you can enjoy your dessert. 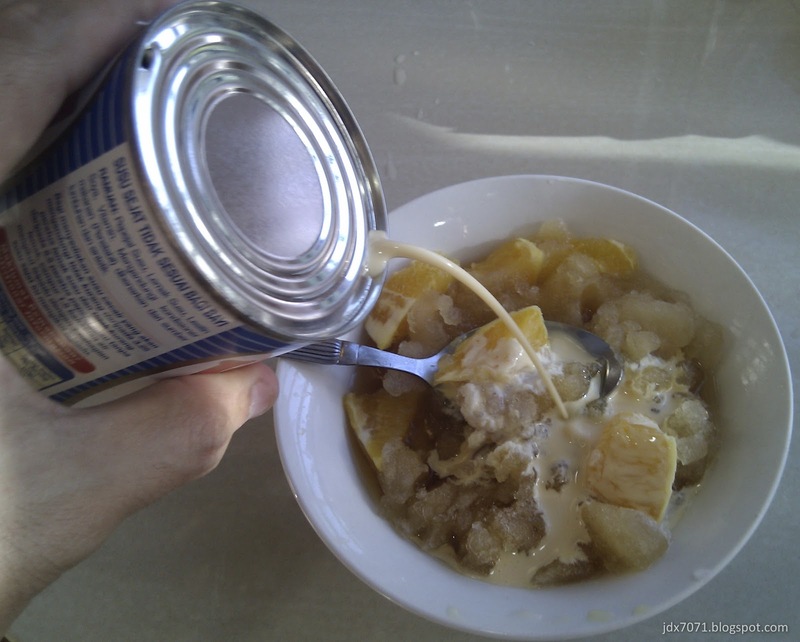 If you like, you can add in some evaporated milk. 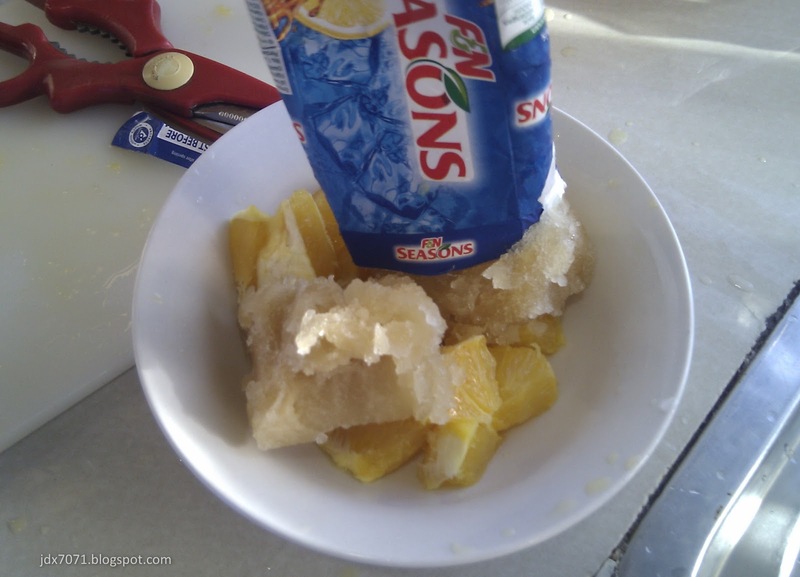 Try it, and please comment on what extra ingredient you use for the dessert. 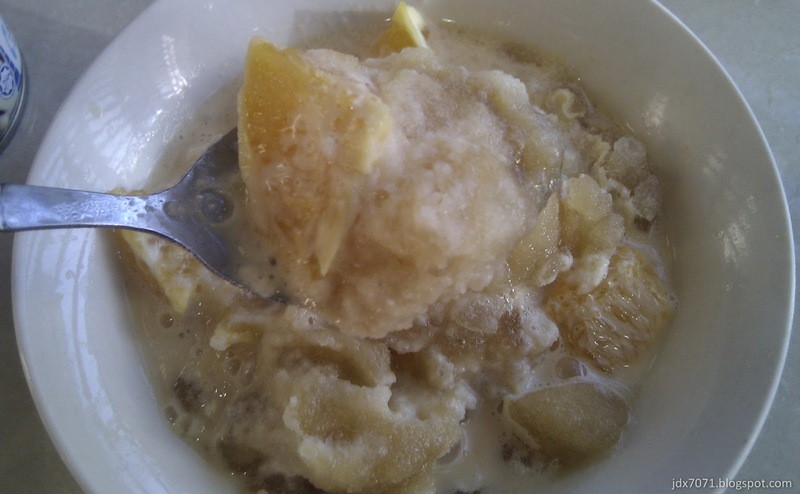 the dessert will looked tastier if the final presentation looked brighter, nicer..10q.